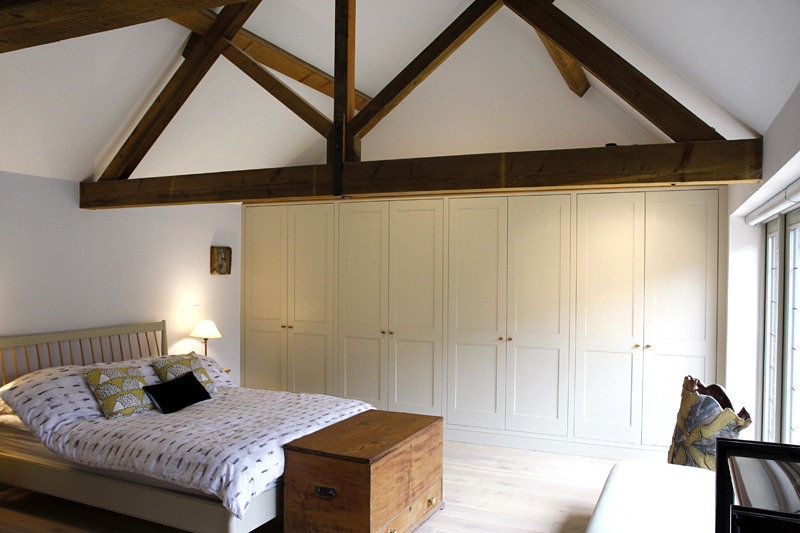 Commission: Fitted bedroom furniture for a barn conversion in Henton. 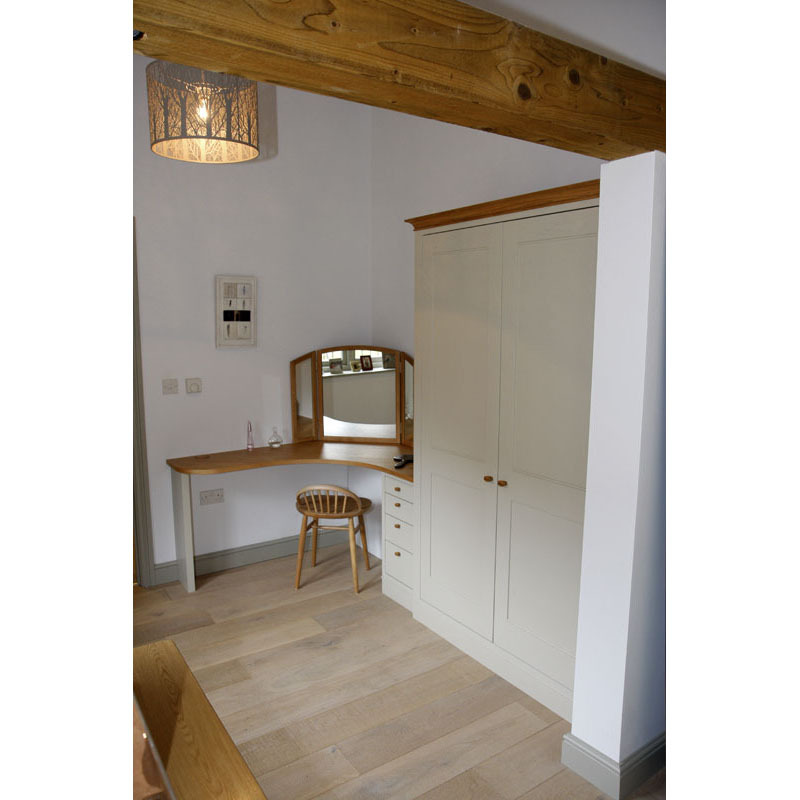 Large fitted wardrobes, shoe cabinet with 12 adjustable shelves, corner dressing table and drawer cabinet to match existing furniture all fully fitted to walls and floor. 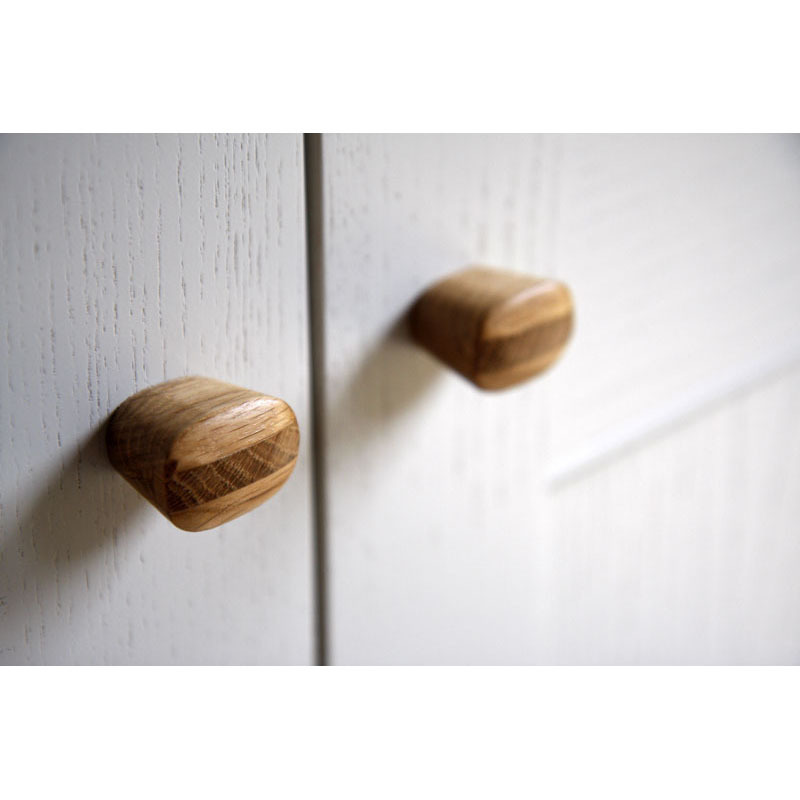 – Exterior pieces constructed in ash and finished with hard-wearing furniture lacquer in colour to match existing furniture (spectro-analysed to match) with wood grain showing through. – All interior carcassing constructed in high specification oak veneered MDF and finished with hard-wearing clear lacquer. – All doors to sit on high quality, fully concealed, soft close hinges. – Cut outs in cabinetry for access to plug sockets and watch winders behind. – Drawer cabinet comprising four solid oak drawer boxes with oak veneered MDF bottoms. Drawers sitting on high quality, full extension, soft close runners. – Dressing Table to fit into corner with frame and panel side to match wardrobe doors. Supported at left hand end by upright and fitted to wardrobe at right hand end. 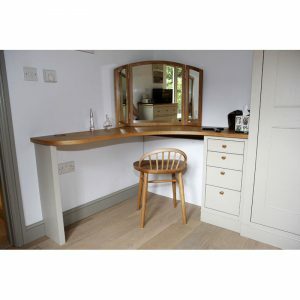 Solid oak top finished in hard-wearing clear lacquer, with cable port for ease of use of socket below. Notch jointed drawer construction. Finished with hard-wearing, clear lacquer.